Barcelona Photoblog: Owl: What are you looking at? Owl: What are you looking at? 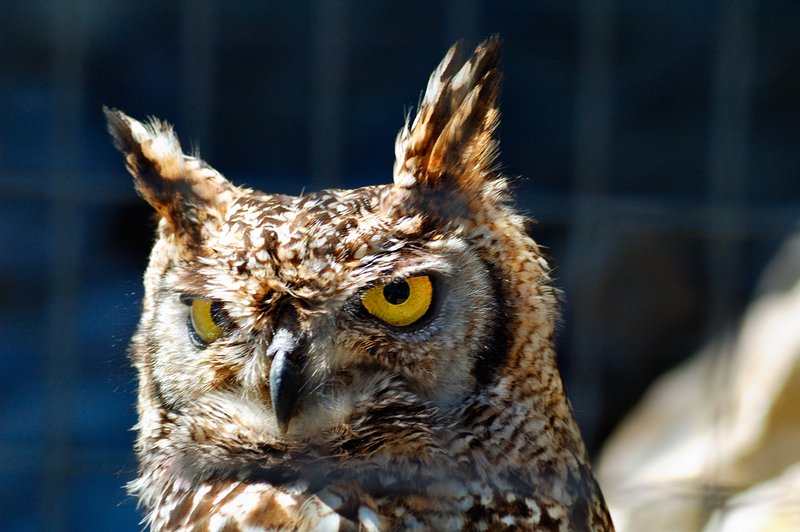 Although this owl seems to have ears or horns nothing further from the truth. The auditory system is on both sides of the bird's head behind the eyes and covered by the feathers of the facial disc. I took this picture at Cim de les Aligues or Eagles Peak which has been covered in previous posts. The bird was in captivity. What a face. Excellent shot. It's a great photo. They always look like they're vexed! They are the favourite birds of my small son - would like to show him this picture tomorrow. Awesome capture of the owl! Hoo hoo hoo! Great photo, Carlos - so fiercely sharp! Great photo!Those golden eyes are amazing! Owl's are such wonderful subjects.